Tufted wool carpets imported from the finest manufacturers world-wide complemented by textures made in our California facility. Unique Carpets, Ltd. is the nation’s leading importer of quality wool carpets. We work with some of the finest mills in the world to bring an array of textures and styles to our tufted wool collection. We offer a wide variety of fashionable styles for your floor and we stock this entire collection in our Riverside, California warehouse. From small loops to large loops, traditional berbers to sophisticated contemporary textures, 100% wool carpets offer exceptional value and an affordable yet fashionable alternative to everyday carpet. 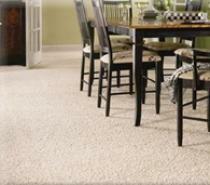 Ease of maintenance and casual elegance are expertly combined in this collection of the nation’s finest nylon carpets. Our nylon uses low luster fibers to emulate the rich depth of color found in our wools. Our synthetic textures are designed for ease of maintenance and casual elegance. Our loop pile products offer a range of durable heavy textures in natural tonal shades that represent a variety of price points. Our cut pile styles offer some of the most decadent textures that can only be found at Unique. 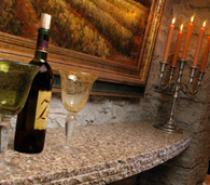 Our color palettes are developed in cooperation with leading interior design firms. If you don’t find your shade you’ll be pleased to know that most of our synthetic collection can be custom dyed for minimal yardage and nominal charges. Bold textures and beautiful patterns in 100% wool with custom flexibility and low minimum requirements. We proudly manufacture the finest collection of custom wool styles here at our Riverside, California facility. Choose a standard product for quick delivery or let us create a custom texture for your specific needs. From luxurious velvets to sumptuous saxonys, as well as the timeless elegance of a tip sheared loop pile. We realize that these products will find their way into the most discerning homes imaginable; therefore every attention is paid to produce the highest quality carpet or rug of its kind. We use only the finest 100% pure new wool to ensure your satisfaction, most styles in this collection can be custom dyed to your color of choice, and can also be constructed to your exact specifications and budgetary requirements. An assortment of woven textures and patterns in natural sisal and seagrass for wall to wall or custom area rugs. To complement our selection of wool and nylon carpets, we import an array of the finest textured sisal and seagrass styles available. Our collection runs from traditional ribbed boucles to the nation’s best collection of bold and rugged textures. All of these natural fiber products can be used either wall to wall or as an area rug, utilizing a variety of edge finishes that Unique offers. 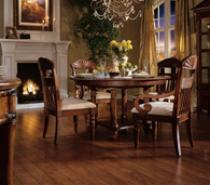 We manufacture all our own area rugs to the highest standards, complete with mitered corners at no additional charge. Choose from solid color cotton, linen, or faux leather. Standard sizes, as well as custom sizes are each meticulously crafted one at a time to ensure quality and satisfaction. The most opulent collection of custom made-to-order shag rugs ever assembled from over 150 stocked colors of 100% wool. Our Shagtastic Collection is the most decadent collection of texture available in the world today. We have gathered wool yarns from around the world to create a myriad of ultra thick textures in a variety of color combinations for the ultimate fashion statement. Each order is hand crafted one at a time to exact standards. We proudly manufacture most of these styles in California, the remaining styles are hand loomed in Europe. Many can be custom colored or combined with other styles to create you own Shagtastic work of art. This collection presents a wide variety of timeless and classic patterns in big, bold, contemporary textures. This collection presents a wide variety of timeless and classic patterns in big, bold, contemporary textures. Loops, cuts and combinations thereof.Timely fashion. Timeless designs. Contemporary Classics. Bold rugged loops, textured stripes using scale and color, and coordinating shags all custom crafted in pure wool made to order. Couture Coordinates is a collection of ever-popular stripes ranging from subdued and understated to big and bold. There are four different patterns in all, offered in two standard color-ways each, all complimented by coordinating shags for unparalleled mix and match opportunities. Further, custom colorations of standard stripe and shag patterns or stripes of your own creation are all fun and easy options.